A new member for the flagship CPU cooler series for mainstream motherboards, Freezer 13 Limited Edition is characterized by its titanium black color aluminum fins and metallic gray impeller. The stunning appearance of Freezer 13 Limited Edition is yet to compromise performance with high cooling capacity. The Freezer 13 Limited Edition features an aluminum heatsink constructed of 45 fins which are plated in titanium black color. In contrast to the plain white impeller of our brother, the Freezer 13 Limited Edition is equipped with metallic gray impeller to showcase a sophisticated look. Freezer 13 Limited Edition is going to be your new focal point of your system. Thanks to its low-noise impeller, the Freezer 13 Limited Edition does the job quietly even at full load. The fluid dynamic bearing technology not only enables ultra-quiet operation but also extends its operating cycle. Having a maximum cooling capacity of 200 Watts, the four double-sided heatpipes dissipate heat efficiently away from the processor. 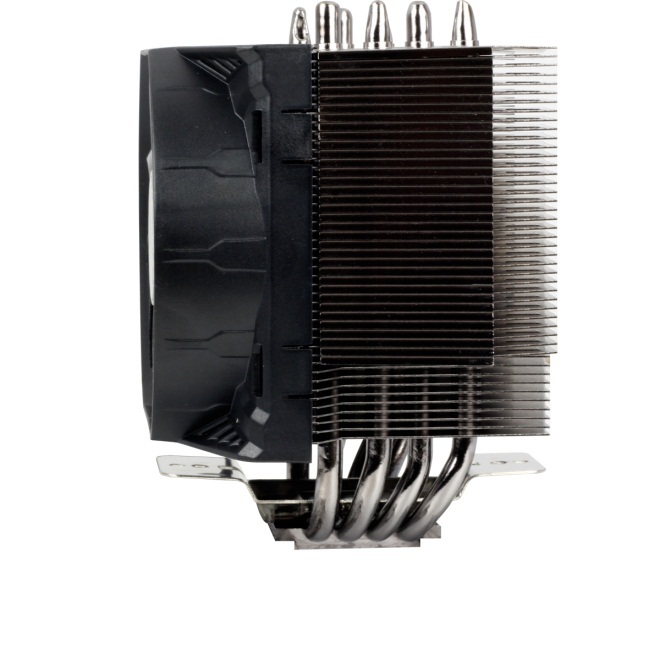 Equipped with a 92mm PWM fan and four U-shaped heatpipes, your computer hardware is well maintained at ideal temperature. The unique mounting system allows you to install the Freezer 13 Limited Edition in just a few simple steps without disassembling the mainboard and still guarantees absolute transport proofness. The pre-applied ARCTIC MX-4 thermal compound makes the installation a quick and clean process.